Winchester ammunition is a go to choice for many shooters and hunters around the world. 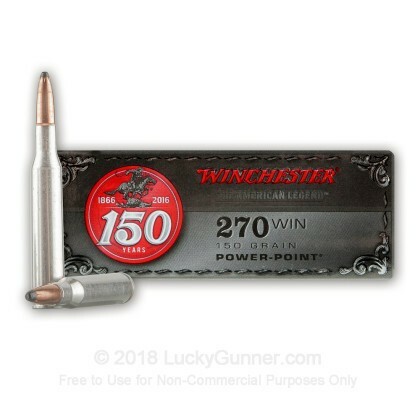 These new production 270 Winchester rounds are a great choice to help you get that next trophy. 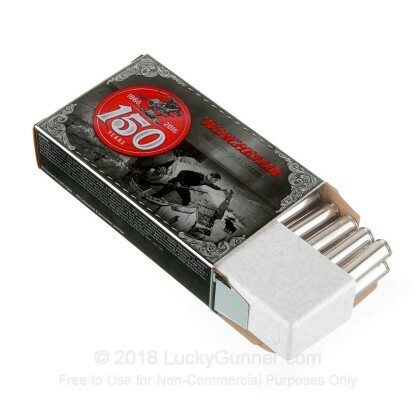 Each round in this box of 20 is loaded into a fresh brass case that comes boxer primed and can be re-loaded. 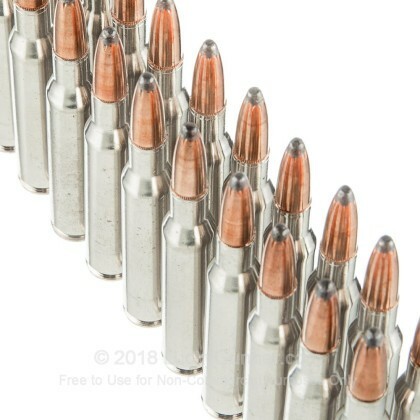 The projectiles are legendary Power Points that weigh in at 150 grains and achieve an average muzzle velocity of 2,850 feet per second. These Power Points are designed to deliver deep, controlled expansion paired with high weight retention. Winchester has been producing high quality firearms and ammunition since 1876. Their products are made in America with their ammunition coming from their Alton, Illinois manufacturing facility. 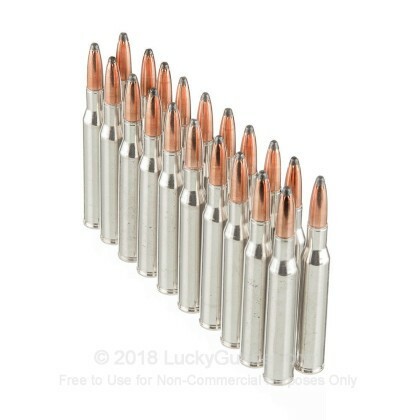 Winchester is a major global supplier of sporting ammunition, and they offer a comprehensive lineup of rimfire, centerfire and shotshell ammunition for a variety of applications. 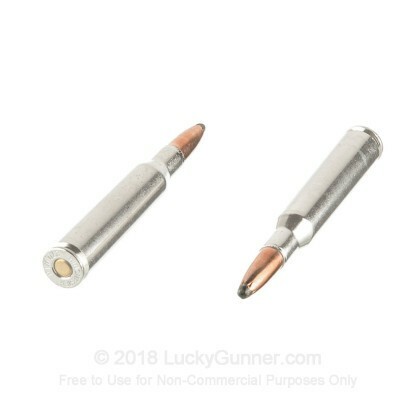 Winchester has a reputation for providing premium ammunition that is reliable and consistent. 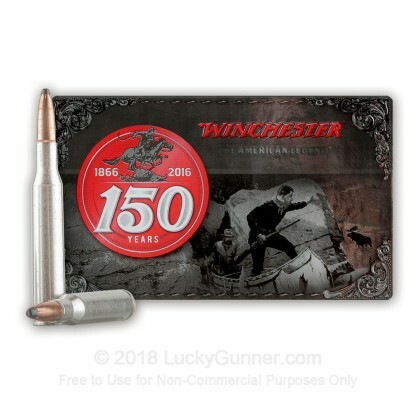 These high quality shells come packaged in Winchester's 150 year commemorative box to pay tribute to the companies century and a half of operation. Pick up a box or two of this premium 270 Winchester ammunition and get out in the field soon!